We had the pleasure of hosting Grade 9 students on November 1. It was a chilly day, but they braved the cold and headed to work. They were able to experience the field, with our Field Supervisor, Ryan Domroes, using levels and finding bars. 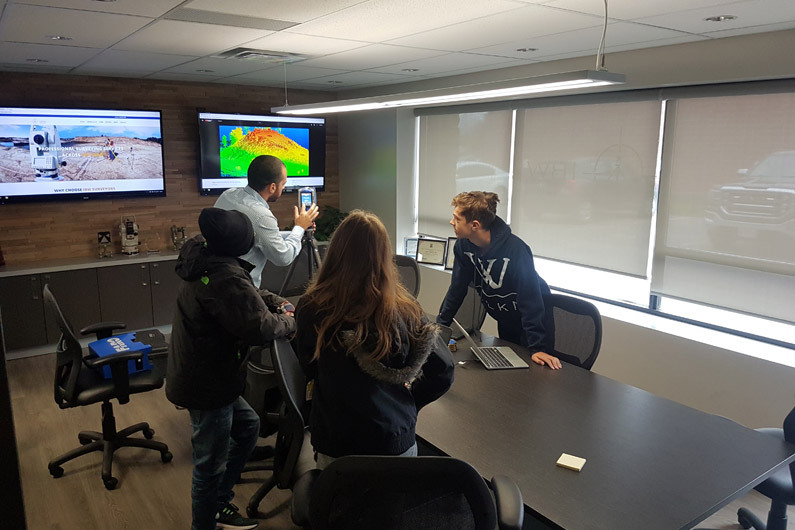 Upon returning to the office, they were able to see the 3D capabilities we have with our scanning devices during an educational session with Pedro Sena. We were sure to feed them as well. Adeline, Cameron, and Liam perhaps you are the next generation of surveyors!